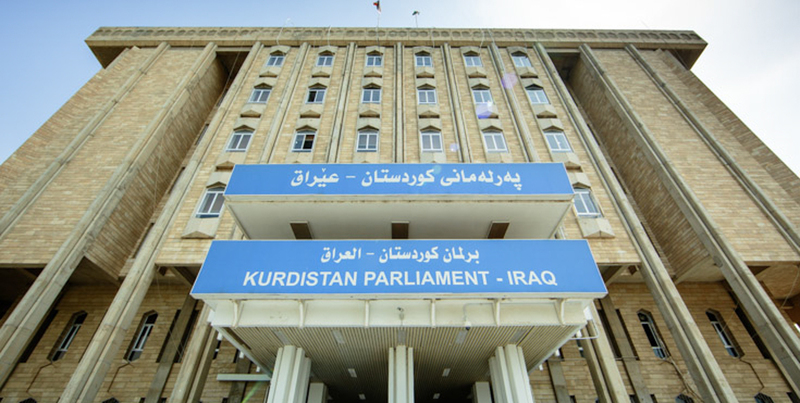 The Kurdistan Parliament is the unicameral legislative body of the Kurdistan Regional Government-Iraq. Initially referred to as the Kurdistan National Assembly, it was established in 1992 as a result of the first free and fair elections in Iraq. Its 111 members are chosen by eligible voters of the Kurdistan Region’s populace in a direct election for a term of four years. The Kurdistan Parliament is located in the Region’s capital Erbil. To ensure the representation of all groups in the Kurdistan Region, several amendments were made to the Kurdistan Election Law in 2009. The amendments included designating at least 30% of mandates to women MPs. As of today, 36 of the Kurdistan Region’s parliamentarians are women, ranking it among the parliaments with the highest percentage of women MPs worldwide. Additionally, there are 11 seats reserved for the minority groups of the Kurdistan Region: 1 for Armenians, 5 for Chaldean-Assyrian-Syriacs, and 5 for Turkmen. Lastly, the minimum age required for candidates was lowered to 25. All the work of the Kurdistan Parliament is organised in standing committees, each with a distinct role. To date, there have been four parliaments following elections in 1992, 2005, 2009 and in September 2013. The last parliamentary elections in the Kurdistan Region of Iraq saw the participation of a number of political parties, a reflection of the Region’s diversity and testament to the parliament’s founding principles of liberty and democracy. Several of these parties are strongly represented in the Kurdistan Parliament today. The Parliament’s current speaker is Yousif Mohammed Sadiq, his Deputy is Dr. Jaffar Eminiki.